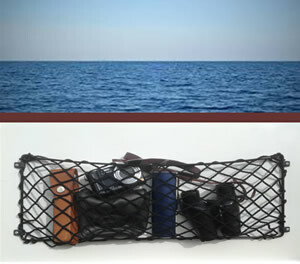 Storage on boats is always a premium and our handy storage nets will certainly help to clear space for you. Steel framed, they attach to any flat surface with screws and can be especially useful for places such as inside the cockpit, inside cupboard doors or even on the backs of chairs. And why stop at boats? Our handy nets are great for caravans, motorhomes, canoes, sailing dinghies and even kids bedrooms or inside your kitchen cupboards! 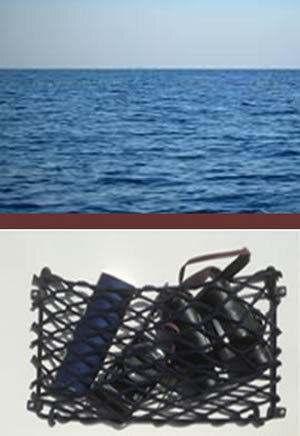 Steel framed storage net which fits to any flat surface. Size: 20cm high x 50cm long.